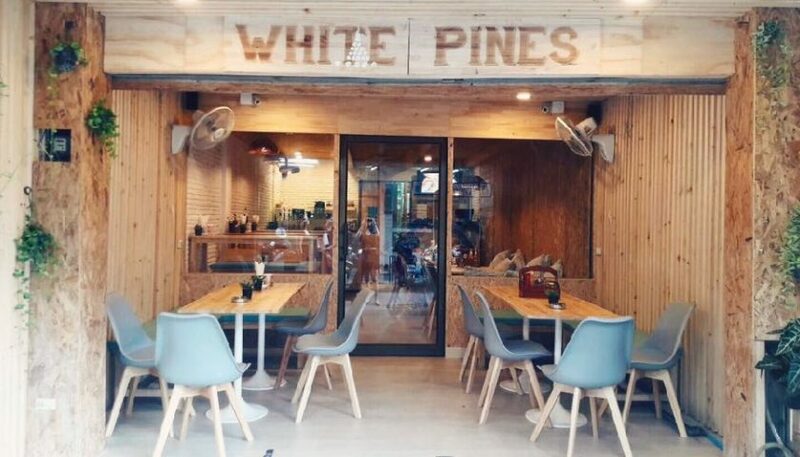 White Pines restaurant, cafe and coffee shop is located at the end of Soi 15 furthest away from Walking Street. 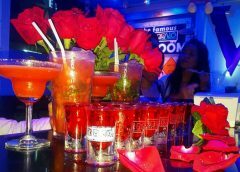 If you walk past the Dollhouse Agogo bar and the Take it Easy 2 bar it is on the right hand side . 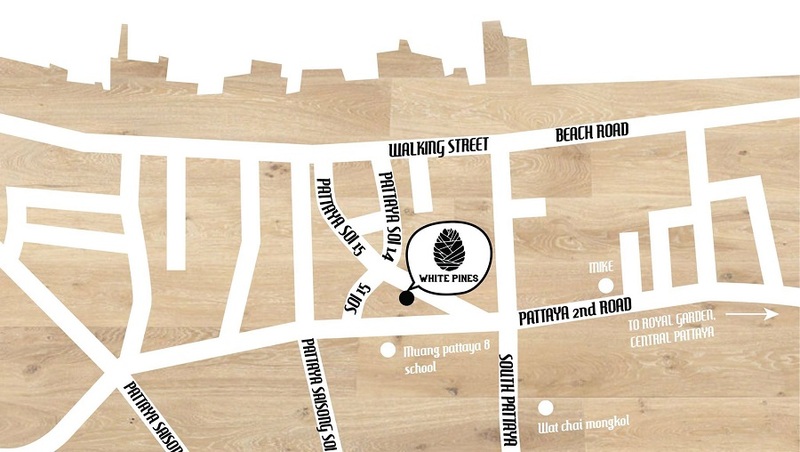 Technically it is on Soi 14 although if walking down Soi 15 you go straight on at the end (see map below). 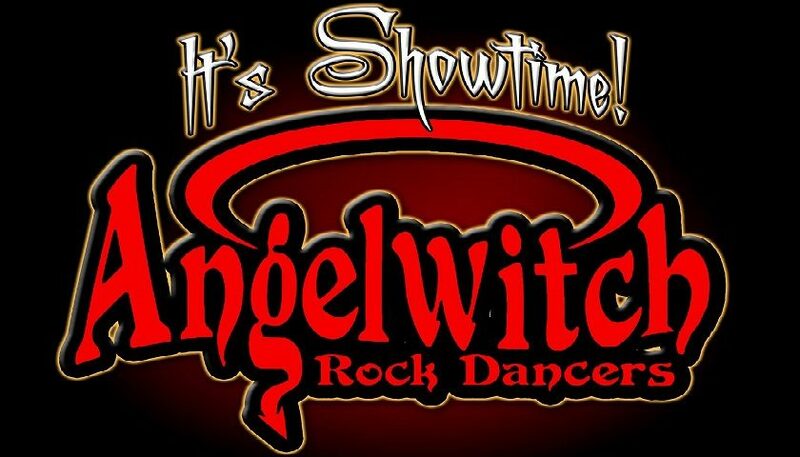 It opened for business in the middle of November 2016 with an official opening night on the 20th November. The interior is smart and modern although minimalist with lots of open brick and light pine wood. The menu is extensive and covers a wide range including burgers, pizza, salads, pasta and steak. Coffee and beer are also available. Portions are well presented and generous. You can see photos of many dishes on their Facebook Page linked below. Early days yet but the food looks excellent and its is a certainly a very welcome addition to the Soi. Please add your star rating for this restaurant. You can also add comments and reviews below. One of the few restaurants here that seems to actually have got better over time. Good start, then it seemed to fade off but as of March 2017 the food is great and at a very good price. Smoked salmon pizza for 179 Baht; can’t beat it.